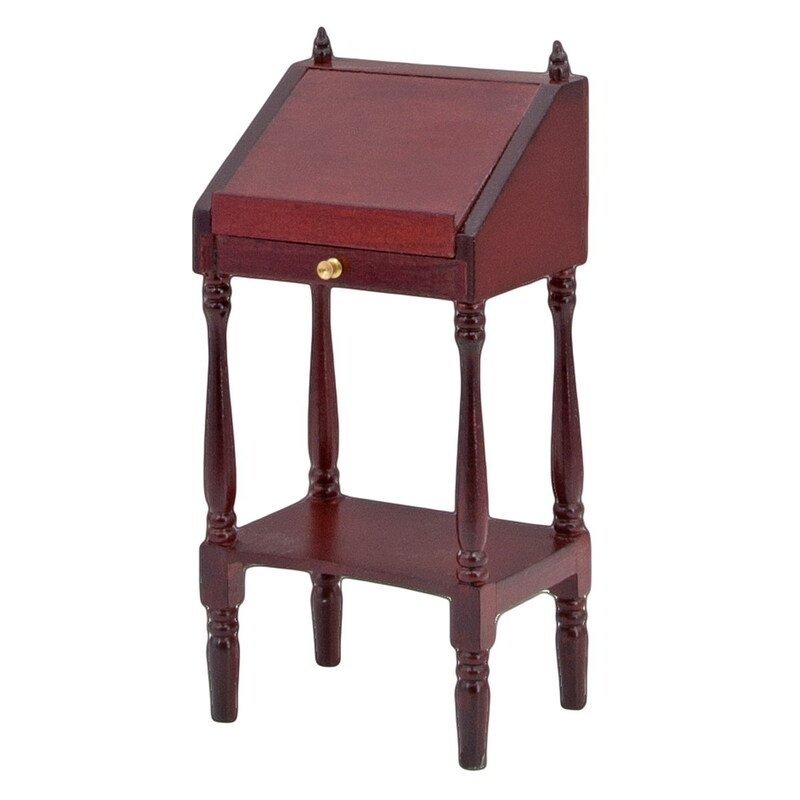 The Lectern with fold-down writing panel, together with a semicircular step ladder, is available as a furniture kit under item no. 40079. 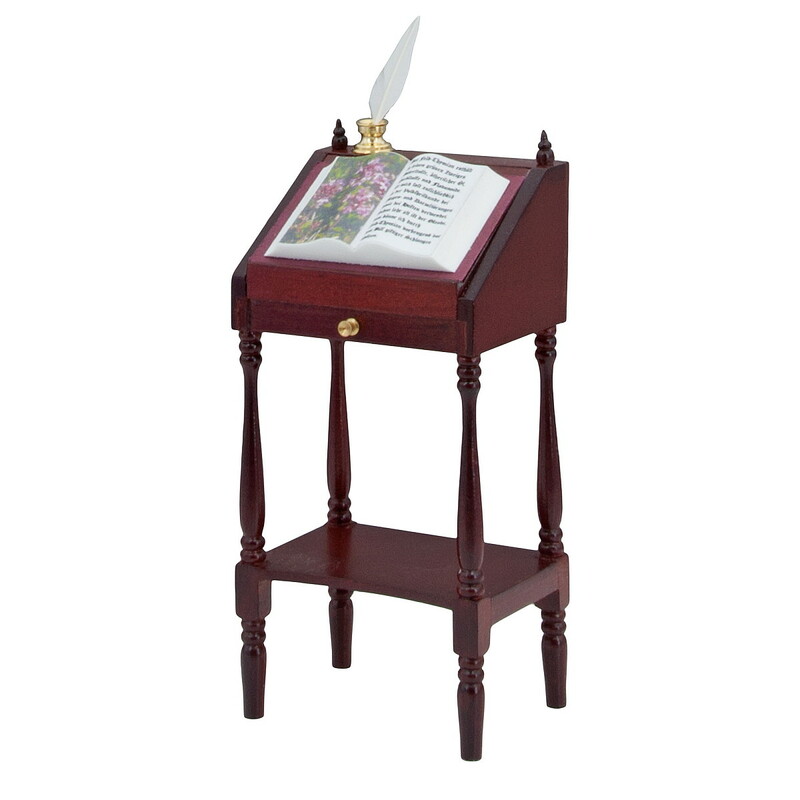 The "open book" (# 19360) as well as the "Inkwell with real quill and blotter" (# 17800) are not included, but are an ideal addition to the Lectern. You will find the book - and much more - in the miniatures section of our furniture store.